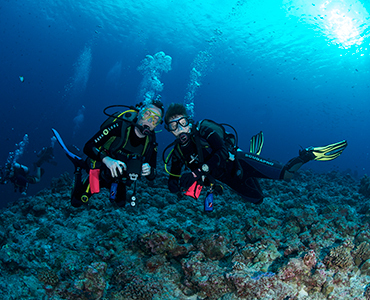 Whether you are a scuba diver, a scientist or a travel agent, Scuba Calendar has a solution for you. Thomas is a 30 years old marketing specialist, currently living in Boston, MA. He just finished his scuba diving advanced course. Like many people new to scuba diving, he is “all in”. And like so many others he has limited time and resources for diving and wants to maximize both. He has some vacation in March. He wants to stay relatively close to home and has a real desire to see a manatee. March, nearby, manatee. Now what? How can he research and identify his three parameters? He has heard about the Scuba Calendar app from other divers. He finds and downloads the app from the App Store and opens it on his iPhone.He elects to skip the sign-up process for now. He is immediately redirected to the search screen. Instead of an old-fashioned search box, he is happy to find three distinct wheels, ready to lead him through his search. He selects March in one wheel and Central America in the second and notes that the third wheel with wildlife adapted immediately.He can already see which wildlife can actually be spotted in Central America in March. He turns the wildlife wheel and he sees a manatee on the list. He is ecstatic, because he has always wanted to see a manatee and did not expect them to be so close to where he lives.He selects a manatee from the wheel and clicks “Search”. Now he sees a map. A map with search results? That’s VERY convenient!”. On the map he sees all the countries in Central America where there is a high chance of seeing a manatee in March. He clicks on Belize, because he has heard about the country on social media and he knows there are good flight connections. A country page opens, where he gets very useful information about Belize. Instead of a general description about Belize, he actually finds information targeted for divers, such as diving regulations, closest hyperbaric chambers, environmental sustainability and a typical weather forecast for March. He makes note that using a surface marker buoy is obligatory in Belize and that he will need to buy one before he leaves. This might seem like a small deal to some but becomes a much bigger issue if he were to arrive unprepared.He feels good that he has found the information he needs in one place. He is so happy that in a matter of minutes he has found exactly where he wants to go and what he is going to see! He loves the app and gives it a 5-star rating in the App Store! He decides never again to spend hours searching on the internet for the right information. It’s all right here. The app asked him the necessary questions and provided him with excellent choices while answering the most difficult question: where to go to dive with his favourite animal in March. Finding the agency was an easy part and he books his trip immediately. Kai is a marine biologist student. She is passionate about whale sharks and as soon as she found the opportunity she started volunteering witha small non-governmental organization in the Philippines, working on a whale shark conservation project. The organization is known for its hardworking passionate members, but it is very small, both in terms of staff and budget. Kai has been lucky to be responsible for whale shark identification and their registration in the database. However, as whale sharks are wild animals no one can predict where they can be seen in the area. Even if she would know of all the sites where she could see them, the organization just doesn't have enough resources to go everywhere and document all the whale sharks seen in their area. 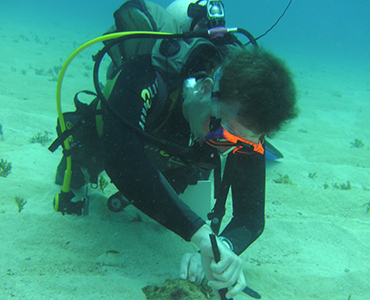 Kai has heard from a colleague about an environmentally friendly app that allows for citizen science – Scuba Calendar. She immediately contacts the owners of the app. During the discussion it becomes clear how greatly the app could benefit her organization. Kai downloads the app. She signs up, which takes no time at all,and immediately realizes that Divers Connected must be the part of the app she is looking for! She opens Divers Connected and views posts from fellow scuba divers from all over the world. They are posting about seeing all types of marine wildlife, with most of them adding their photos or short videos and even a short description about the sighting. Each post clearly states where and when a particular animal was seen. She notices an icon for filtering the posts. Because she is interested only in whale sharks in the Philippines, she selects those filters. Now she sees only the posts relevant for her sorted in chronological order. She opens one in which a user posted that he has seen a whale shark in Donsol in May 2017. The photo added by the user is excellent and she can clearly recognize the unique spot pattern behind whale shark's pectoral fin. She thinks: "Hey, I know this whale shark" and quickly searches for the pattern in the NGO's database on her laptop. She finds the whale shark in the database!She notes that this whale shark was not seen in the Phillipines for more than 3 years! Because of Divers Connected she is happy to realize that this whale shark is still alive and seems very healthy. She adds the data found on Scuba Calendar app into her database. She ‘agrees’ with the post, a sort of a Scuba Calendar 'Like'. She also comments on the post and thanksthe user for posting and she writes him a short history of his whale shark. She adds a few words about identifying animals with photography and offers a few tips onhow to take good quality pictures that can be used for whale shark identification. The user is happy to learn more about his whale shark and Kai is happy to have found a great place to find and share useful information that her NGO is collecting. She's so happy to find an app where ordinary divers can finally have the opportunity to contribute to a better understanding and protection of her favourite animal. She immediately rates the app on the App Store and decides to talk to her supervisor to actively promote the app on NGO’s website and among their partners. After all, with more users using the app she will have more and more information to enter into her NGO database.This also allows all future app users to stay up to date on sightings of their favorite sea animals. Julia is a small travel agency owner in the UK. Her agency specializes in personalized scuba diving trips. She has just gotten an enquiry from a client, who would desires to go scuba diving only during certain months.The client asked her to get a few quotes for the destination where he could almost certainly scuba dive with manta rays. While Julia already knows from experience where to see manta rays, she has always had problems knowing when is the best season to see them. Before answering a client, she often has had to do a country-by-country research for an animal and for the correct season. This took her days! And clients were waiting. Julia has downloaded a Scuba Calendar app recently. She decides to give it a try! She opens the app. She is already logged in from a previous visit to the app so she immediately begins on the search page. She simply selects manta ray from the first wheel, her client’s time request (January - March) from the second wheel and leaves “all” under the location. After she presses “Search”, she immediately gets a map of the world, where all the countries are marked in which her client willhave a good opportunity to see manta rays in his chosen three months. She picks 3 countries from the list - Maldives, USA (Hawaii) and Mozambique, where her agency has the best deals with local tour operators. Inside the app, she quickly checks if the weather conditions are typically good during these months. Now Julia has 3 countries on 3 continents, which gives her client excellent choices! Nevertheless, Julia knows how easy it is to lose reputation with clients. Therefore, she wants to be as sure as possible about the chances of his seeing manta rays. She knows that she cannot trust local tour operators, who often stretch the season of manta rays just to attract more divers and increase their profits. Contacting local NGOs would take a long time. And tourism websites are also often biased in order to attract tourists. Therefore, she decides to tap on “Divers Connected” inside the Scuba Calendar app. She knows that this is not just another scuba discussion group. Here, people all over the world post what they have seen while scuba diving, when and where. She quickly filters the posts and elects only to view the posts in which people have seen manta rays in the 3 countries during January-March. She finds many posts with gorgeous photos and videos from people who were actually in these countries during the selected months. She is now confident that these are indeed the countries to recommend to her client. In very little time Julia updates him with three possibilities. Her Client is impressed with Julia’s swift response and happily decides to go to Maldives using Julia’s agency. In a few months, Julia gets the best review ever from the client on Tripadvisor. 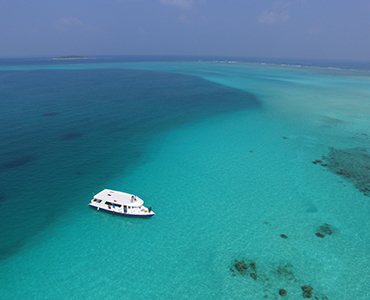 The client was praising Julia’s knowledge about the wildlife, her speed and claimed to have a time of his life in Maldives.